An insurance policy not only provides financial security but also peace of mind to the individuals who invest in it as it comes with the reassurance that their family will be protected in their absence. They hope their family will not have to go through any financial trauma and that the insurance investments reap returns when they most need it. Hence, it can be agonising if the insurance claim, filed by the nominee, is rejected by the insurer, leaving the bereaved unequipped to deal with the loss. Unfortunately a large number of rejected claims are often a result of the insured not understanding the policy details or carelessness while purchasing the policy or filling up the nomination form. A customer must follow a few simple steps to avoid the needless worry of whether the claim will be cleared when it is needed the most. One of the most common reasons for claim rejection is incorrect information provided in the proposal form. It is very important to be honest while filling up the forms and disclose all facts, including age, income proof, health condition like blood pressure, diabetes, etc, and lifestyle habits such as smoking/drinking, truthfully. An insurance contract is entered into on the basis of “utmost good faith”, and it is incumbent upon the policyholder to be aware of this. Though such disclosures may result in a slight increase in the premium of the policy, they make the process of claim settlement very smooth and provide peace of mind in the long run. Its essential to be regular with your premium payments if you want to ensure that your loved ones can avail the benefit of the insurance policy that you have purchased for their financial security. You can choose the frequency of your premium payment depending on your convenience. Once the policy is purchased, one must not default on any of the premium payments. For example, if the customer feels that he/she will be more comfortable paying premium every month rather than a lump sum annually, he/she should opt for monthly premium payment. Its essential to register your claim at the earliest with your insurer. 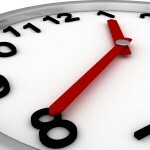 Some insurance companies specify the time (60-90 days) allowed for intimation of a claim. Make sure that the claim is registered within the stipulated time to avoid unnecessary hassles and delays. 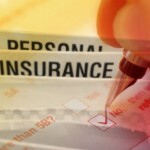 The website for all insurance companies have a documentation list required for claim processing. The claimant must register the claim with all the required documents in one go to ensure speedy processing of the claim. The claimant must submit the original or attested copy of the death certificate- the most critical document for claim processing. In case of death due to illness/ in hospital, claimant should submit the available medical documents. 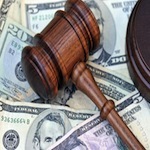 Most importantly, all claim documentation must be completed by the nominee. Do inform your nominee about the policy details, benefits and clauses. 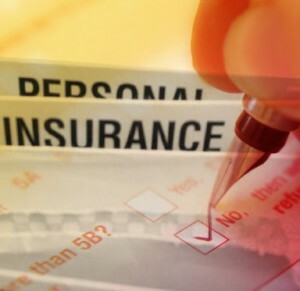 The insured must share all documents related to the policy with the nominee so that while making the claim he/she can submit the relevant details with the insurer without much delay. Gaurav Rajput, Director Marketing, Aviva India is responsible for the overall marketing strategy including Brand marketing, Communications, Channel marketing, Analytics and Product propositions. Gaurav brings with him a rich experience of over 13 years and was associated with Citibank and with leading media houses and advertising groups and has diverse work experience in the field of marketing and advertising. How To Transfer PPF Account From One Bank To The Other?